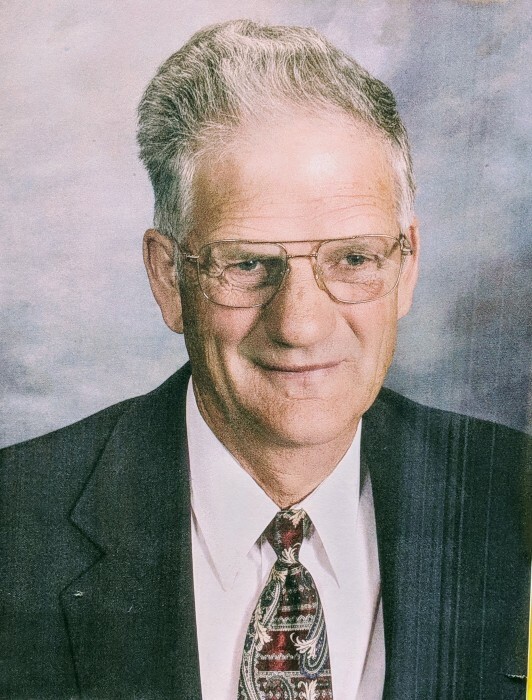 Daniel Bowen Call, age 86, passed away peacefully surrounded by his family, on December 2, 2018, after a long earthly trial with Alzheimer ’s disease. He was born in his home on October 16, 1932, and was the sixth of 13 children. His parents Hannah Skousen and Charles Helaman Call reared Dan in Colonia Dublan, Chihuahua, Mexico, where Dan went to school, spoke Spanish, and worked hard on the family farm. After graduating from high school, Dan came to Utah to attend BYU where he met his eternal sweetheart Clora Janet Kelsey. They were married August 13, 1952, in Roosevelt, Utah, and were later solemnized the Salt Lake LDS Temple. In 1958, Dan proudly became a U.S. citizen where he lived the remainder of his life. Dan worked as a foreman for Davey Tree Company for 36 years and was later a custodian for the LDS church for another 10 years. He faithfully served in many church callings including the young men’s, scouts, bishoprics, bishop, and as a high counselor. He and Janet served a mission in Concepcion, Chile. Dan was a hard worker and taught his children the value of hard work. He loved people and talked with everyone he met. An outstanding husband and father, Dan was happiest being with his family. Trips to Mexico to be with family and camping get-togethers were a highlight for everyone each summer. Dan especially loved the outdoors and gardening. Dan is survived by his wife, Janet and eight children: Kathy (Jim) King, Sylvia (Randy) Rounds, Rose Marie (Ron) Reddish, Cynthia Swensen, Daniel (Kim), Darryl (Melanie), Gordon (Nicole), and Jeaneen (John) Jenkins. He had 36 grandchildren and 57 great-grandchildren. The family wishes to thank the hospice nurse, Julie, and the workers at Hidden Valley Memory Center for their tender care in the final weeks of Dan’s life. Funeral Services will be held on Friday, December 7, 2018, at 11:00 am at Leavitt’s Mortuary, 836 – 36th St., Ogden, UT. Friends may visit with family Thursday, December 6, 2018, from 6 to 8:00 pm at Leavitt’s Mortuary and Friday morning from 9:30 – 10:45 am prior to the services.